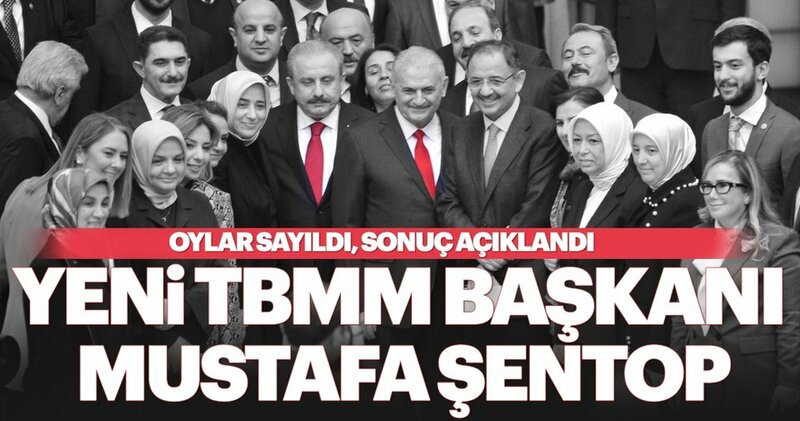 Ruling Justice and Development Party’s (AKP) candidate Mustafa Şentop received 336 votes out of 600 in parliament on Sunday to become the 29th speaker of the Turkish parliament, pro-government Sabah newspaper reported. Şentop will be replacing Binali Yıldırım, who is running for İstanbul mayor for the AKP in the local elections set to take place on March 31 and stepped down following criticism over his candidacy while serving as parliamentary speaker. “Today, the trust of our glorious nation has manifest itself in the form of the votes cast by the honourable assembly,” Şentop said while addressing to the general assembly following Sunday’s vote. The AKP candidate beat main opposition Republican People’s Party (CHP) candidate Engin Altay, who only received 124 votes. Pro-Kurdish Peoples’ Democratic Party’s (HDP) candidate Serpil Kemalbay Pekgözegü received 46 votes and centre-right nationalist Good (İYİ) Party’s nominee İmam Hüseyin Filiz won 33 votes, Sabah said. The Nationalist Movement Party (MHP), represented in parliament with 49 MPs, endorsed Şentop as part of the “People’s Alliance” with the AKP. The ruling AKP maintains 291 seats in parliament, while the CHP has 142 deputies. MHP holds 49 seats, followed by HDP with 65 and İYİ Party with 39 seats. Fifty-year-old Şentop was elected MP from Turkey’s northwestern province of Tekirdağ in June 24, 2018 parliamentary elections.